What’s the show? Hitori Bocchi no Marumaru Seikatsu, Episode 1. Uh-huh and what’s that all mean then? It means we’re about to witness the mother-flippin’ anime of the season, y’all! Okay, okay… calm the heck down. Let’s take this slow, what’s the show about first of all? Right, so our protagonist Hitori Bocchi is a new middle-schooler who is combatting the world–namely because she suffers from extreme social anxiety and seemingly everything she thinks or says or does causes her monumental grief in just virtue of existing. 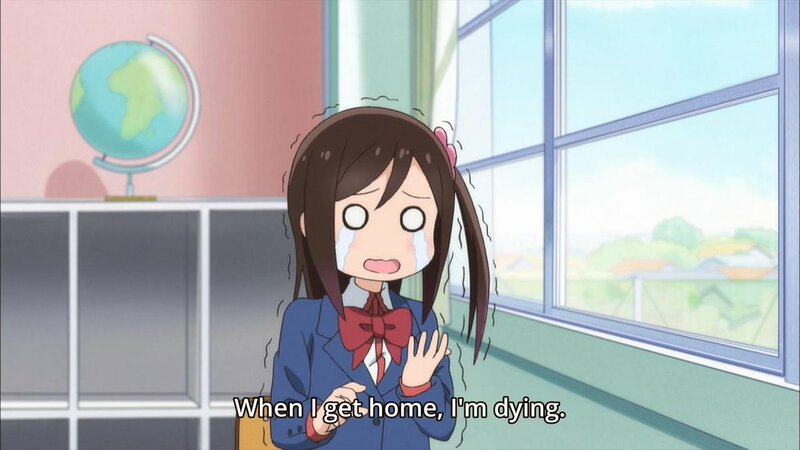 It’s mostly in her head of course but this anime is basically Bocchi going through everyday life with her crippling anxiety and the cute, comedic insanity that ensues from it. You have “cute” and “crippling anxiety” in the same sentence? I can’t help but think that’s a problem. 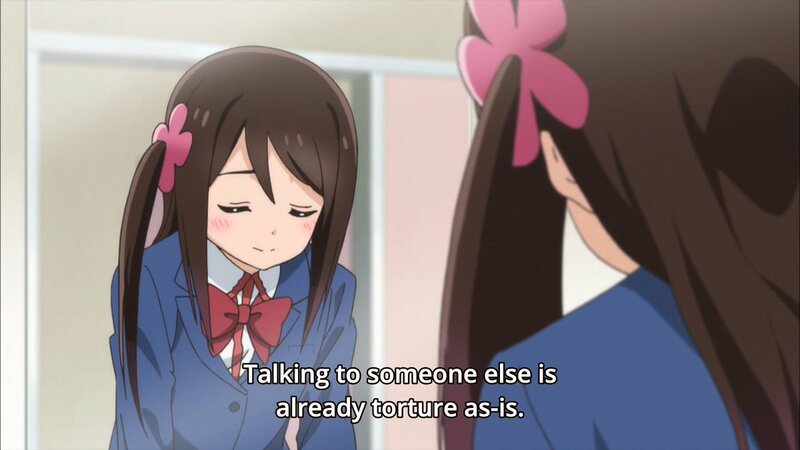 You’d think so, but despite Bocchi’s various issues in dealing with other people this anime not only represents them as absurd and comedic but also relatable and endearing. It’s a deft juggling act that only really shows itself as thus after a closer examination at just how flawlessly this episode works at conveying both tone and sensibility. Uh-huh, go on… And that’s where I’m kind of at a loss for words. I mean, quite personally this show is amazing but at the same time it’s really hard to convey its good points into a scholarly review–you know with words and whatnot. And that goes for a lot of comedic and slice of life series’ especially in the case where half the appeal is in the delivery of lines and the pacing of jokes. 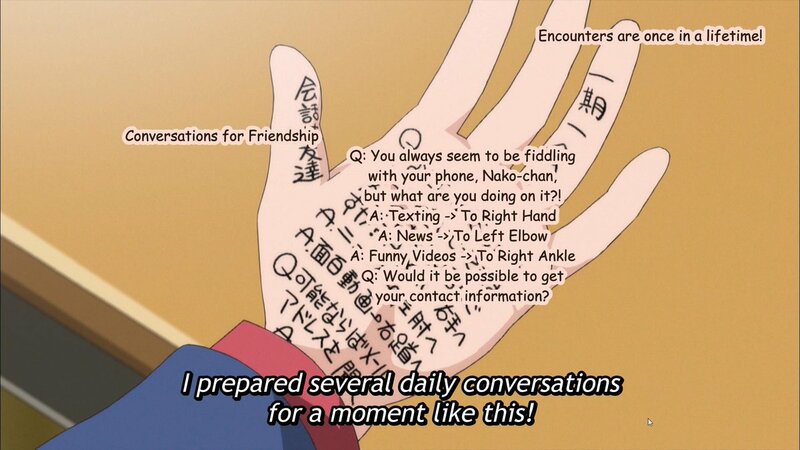 Also (and this might come as some surprise) but I’ve actually got a lot in common with Bocchi in that both of us overthink things, both of us have literally zero friends and both of us think everyday life would be simpler without having to interact with any other people. That… that doesn’t surprise me at all, you’re like the epitome of a recluse… Shuddup! Ugh, okay fine but at least give me some more information to go on about this show. Will ya? 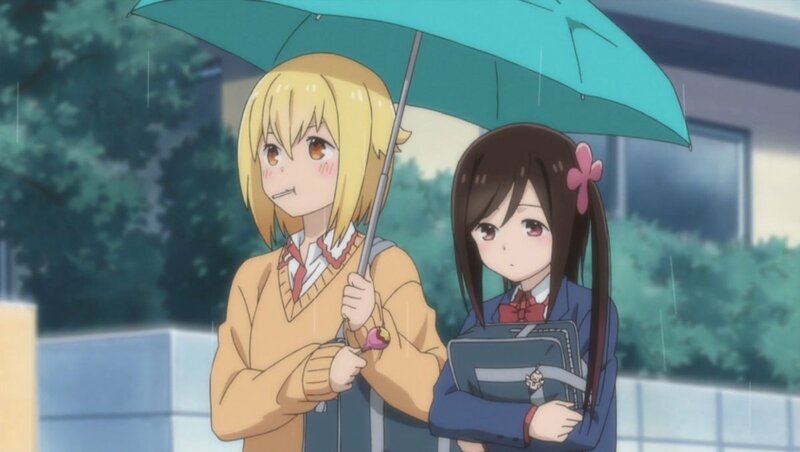 Spoilers for the first episode but Bocchi eventually–by the end of the episode–makes friends with a “thug-ish” girl named Nako Sunao and boy do I have a crush on this anime girl already or what? Not only is she tough and standoffish to strangers but she’s got an adorable and caring side to her and oompf! O-kay, then… This review is rapidly deteriorating into nonsensical banter, please wrap it up. 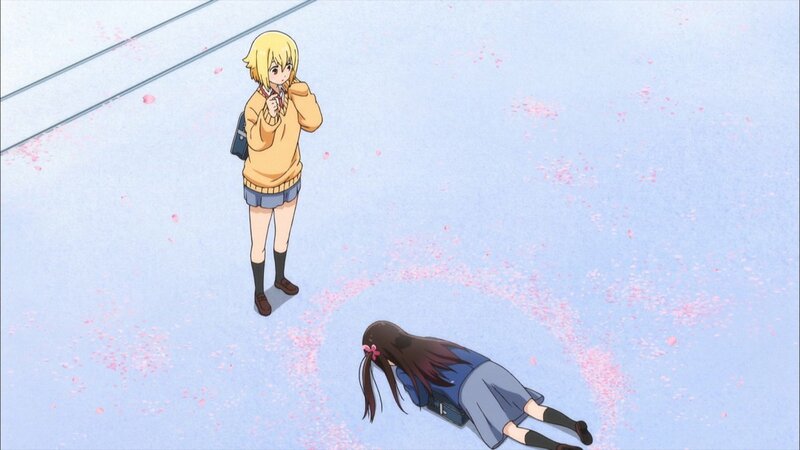 ‘Hitoribocchi no Marumaru Seikatsu’ or “Bocchi” as i’ll be referring to it hence forth is a masterful piece of slice of life comedy while simultaneously being awkward and adorable and weird and familial. It’s kind of like the ‘Curb Your Enthusiasm’ of anime–except instead of a balding, ageing white man as its protagonist it has an adorable Japanese girl struggling to even partake in the most basic of human interactions. I love this show, I love Hitori Bocchi and I want a million more episodes. I don’t care how unprofessional this review turns out, I’m just being the best ‘me’ I can be! Yeah it has some similarities with Asobi Asobase too. Glad you enjoyed it! 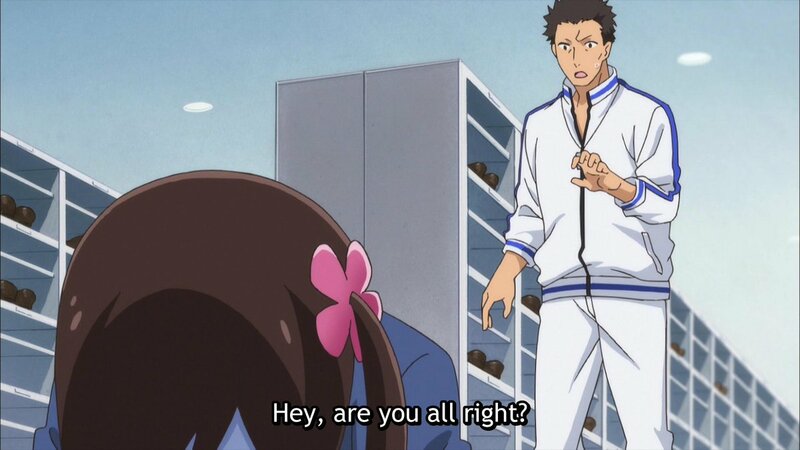 I haven’t watched any anime for ages, but this one definitely has my attention! I’ll check it out later today for sure.